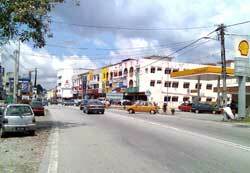 Tampin is a flourishing town with a big population, estimated to be around 200,000. 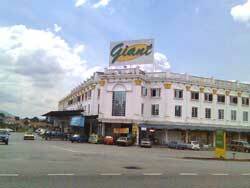 This Giant Hypermarket is 5 km from the subject property. Just before reaching the centre of town. To the right after the Shell petrol station is "The Store" Supermarket. Here one can find all the big names in food too. 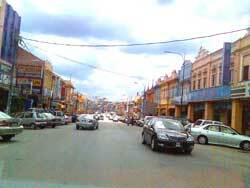 This is the centre of Tampin town. On the left is a 4 storey shopping complex and on the right is the public bus station. 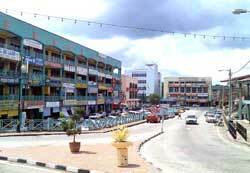 Tampin town is divided into 2 section, one situated in Negeri Sembilan and one situated in Melaka. This view is taken on the Melaka side.